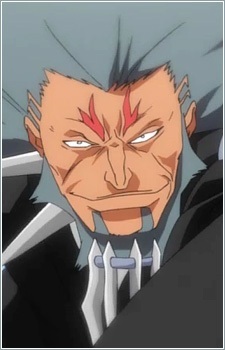 Shinigami who appeared in the OVA The Sealed Sword Frenzy. Baishin's appearance is that of a middle aged man with a beard and blades growing out of his shoulders. He can transform parts of his arms into blades that he can then launch at his enemies. He also wears a samurai-like armor over his shinigami hakama.